Gluten Free Fried Chicken is a delicious treat! Mix flour, salt, paprika and pepper. Coat chicken pieces with flour mixture. Heat coconut oil (about 1/4-inch deep) in a large skillet over medium-high heat until hot. 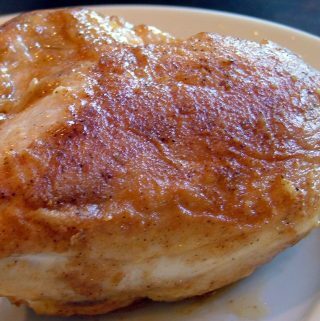 Cook chicken in oil until light brown on all sides, about 10-15 minutes (depending on size of piece); reduce heat. Cover skillet tightly and simmer, turning once or twice until thickest pieces are done; about 35 minutes more. Note: if you can't cover the skillet, add 1-2 Tbsp of water. Remove cover during last 5 minutes to crisp chicken. Recipe inspired from Fried Chicken recipe in "Betty Crocker's Cookbook (1986 edition)".